The combination of fresh basil, cilantro, mint and tarragon makes for an unusually refreshing drink. This refreshing cocktail is made with thyme and mint, two herbs that thrive in urban rooftop gardens. The savory flavor of this fresh lime gimlet (a drink traditionally made with gin) comes from tarragon, an herb that grows in the hills of Provence. Philippe Gouze uses fresh chervil two ways in his peppery cocktail: He juices the licoricey herb, stems and all, and then uses additional leaves as a garnish. This drink is a great way to use up your bumper crop of mint. For a different take, swap out the tequila for rum or cachaça. Ryan Maybee loves tarragon’s licorice flavor, so he decided to use the herb in place of the mint in a Mojito. Then he swapped out the rum for cachaça (to get more kick) and added sparkling wine to keep the drink refreshing. He opts for brut cava in his Mojo Royale. This mango-specked sangria features herbaceous mint and dill. 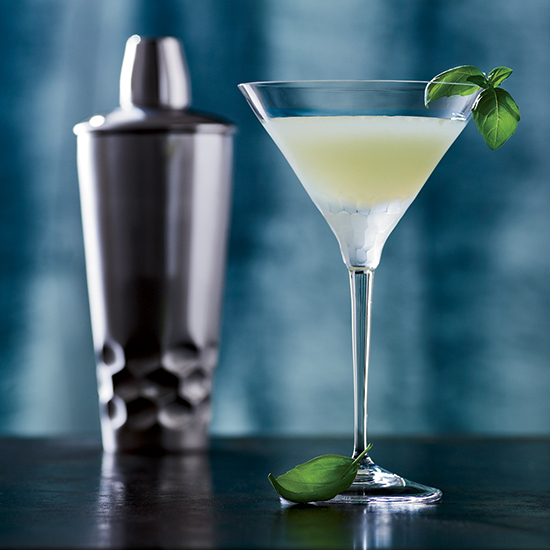 This extraordinary twist on the traditional gimlet includes fresh basil and celery bitters. A long-lost type of bitters from the 19th century that has made a comeback in recent years, celery bitters are especially delicious in gin and vodka cocktails.